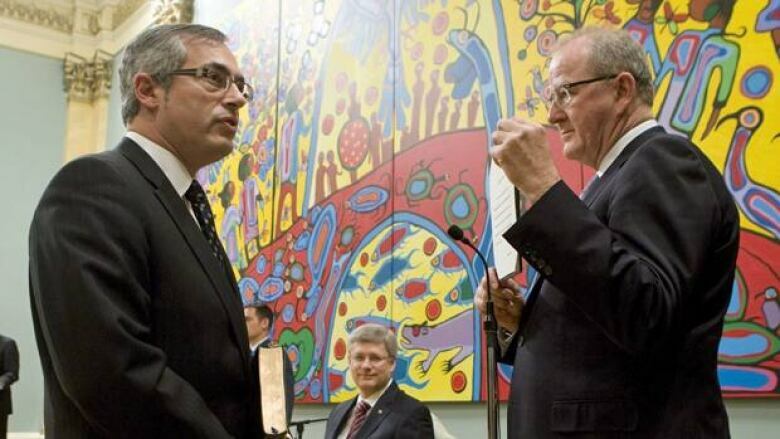 Treasury Board head Tony Clement said he would consider shutting entire programs and shrinking the public service in order to help produce a balanced budget by 2014-2015, according to reports. "I'm dismayed though, given the fact that what this government has been saying leading up to the election was that there would be job reductions, but those reductions would come through attrition and nothing more than attrition," Ducharme said. "One day into the job and now he's telling the truth. Thanks Tony." Ducharme said she was at a loss as to which government programs might be targeted. "All of these people play a critical role in the Canadian government and for people who work and live in Canada," she said. Ducharme said PSAC president John Gordon has asked to meet with Clement since his appointment, but a meeting has yet to be confirmed. Clement said he was still being briefed on his new portfolio. He said a strategic and operational review of all government services, to be completed in the next year, would help steer the government toward a balanced budget. Public servants weighed in on Friday, expressing some trepidation about potential cuts. "General concerns are if it will be affecting myself and people I know, and programs I work for," said Cecil Goyette. Another public servant, Sergey Vershinin, felt the possible program cuts were in line with a Conservative agenda. "Well they didn't have a majority and now they do, so it's not surprising, and I think in line with what was expected," he said. According to Statistics Canada, the federal government had 417,700 employees as of September 2010. Just under a third — about 134,000 — work in the Ottawa-Gatineau region. These numbers don't include the hundreds of thousands of contractors who do work for the government as well. The number of federal employees has actually risen by 10 per cent since the Conservatives formed their first government in 2006, and by 14 per cent in the Ottawa-Gatineau region.